Those looking to move household goods and personal effects to Finland from the U.S or bring a car or motorcycle have a lot of preparation to do and it’s important to start the process early. Also, depending on the specifics of your shipment, there are different options for both transporting your vehicles or shipping goods. Some of these will depend where your shipment is departing from in the U.S, the amount of space required and final destination. The majority of individuals that relocate to Finland from the U.S do so to Helsinki. So this is a much more frequented destination. There are a few methods to choose from when transporting cars and other types of vehicles including container shipping and air-freight. Additionally, our port of entry in Kotka, about 164 km (100 miles) northeast of Helsinki, offers a roll-on roll-off service. You can learn about the pros and cons of each one on our Finland car shipping page. For those moving households, the most common shipment types include full container loads and shared loads. The costs of your particular shipment depends on the amount of goods as mentioned because rates are calculated by space inside the containers. You’ll also need to have an inventory of your items for Finnish customs. 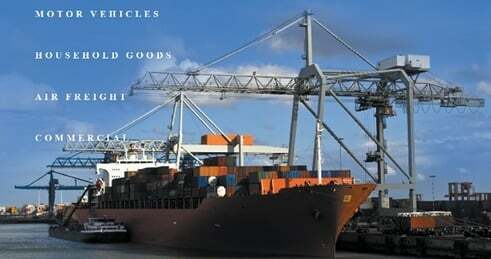 What Costs Are Associated With Your Goods? There are really two scenarios regarding the arrival of your shipment at customs. Your belongings will either qualify to be exempt or they won’t. Finland makes the basic rule that if the items were purchased in the U.S or other home country, used for over six months, and the private individual has lived abroad over a year then the goods could potentially be shipped and imported duty free. However this does not apply to every single type of commodity or good which is why they require an inventory list. So be sure to check with the local customs office or embassy. If you are transporting an unrestricted vehicle, the same applies to motor vehicles valued under $34,000. If you want to ship a newer model, you can expect import fees of about 55%. This total is calculated based on the retail price of the car in Finland. For any additional questions, give one of our specialists a call at 800 599-0190 // 562 408-6677.